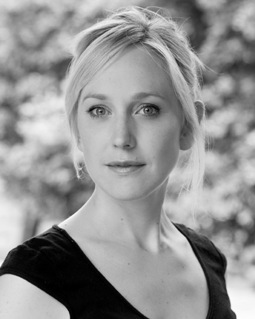 Hattie Morahan reprises her role as Nora Helmer in A Doll’s House at the Duke of York’s Theatre in this timeless masterpiece by Henrik Ibsen, showing from 8th August to 26th October 2013. Hattie has won both the Evening Standard Theatre Award 2012 and the Critics Circle Best Actress Award 2013 for her performance as Nora in A Doll’s House. Her stage credits include The Real Thing (Old Vic), The Seagull, Iphigenia at Aulis (National Theatre), See How They Run (West End) and Hamlet (RSC). Television includes The Bletchley Circle Series 2, Midsomer Murders, Outnumbered, Lewis, Money, Marple: A Pocket Full of Rye, Trial and Retribution, Sense and Sensibility, Bodies, New Tricks and Lark Rise to Candleford. Films includes Nora, Having You, The Bank Job and The Golden Compass. Hattie recently took time out to chat about her career and A Doll’s House. Your father is a television and stage director, and your Mother a well known actress. How much did they influence your performing arts education? Well, I didn’t actually train as an actress, but I did do plays at school. In actual fact, if there was any influence from them, it was to go to university. They were really keen for me to try for Cambridge and I’m glad that I did, even though at the time I was just thinking actually all I want to do is act. When you’re young you can be very headstrong, and my parents were keen for me to train after university, but I chose not to. They wanted me to get formal training and so I started auditioning for drama schools, but then I managed to get a job with the RSC. I think they were happy that if I were to learn on the job anyway, that’s as good a place to start as anywhere. I think that because I showed that I was really keen to learn, they were reconciled to that happening. They were just really eager that I learned the right tools. You studied English Literature at New Hall, Cambridge and performed in several dramatic productions there, what were the highlights for you there? There were several highlights for me. There were several productions directed by a friend of mine, Philip Breen who now directs. I played Catherine in A View From the Bridge and we took the production to the National Student Drama Festival. He had very large scale ambitions and vision for the piece, and it just felt like we were all sharing something really special. The production was well received and I made several great friends doing it. In 1998 you switched from acting to directing and directed the play called The Suicide, what did you learn from this experience as a director that helped you as an actress? The main thing I learnt was that I’m not cut out to be a director! It was great fun and I loved doing it, and especially loved working on the smaller scale scenes, but I realised at the time that at that age I didn’t have the constitution or the nerve to deal with it. I guess it’s just useful trying out different parts of your brain and different muscles, and thinking about the very different disciplines. Would you like to be a director again? I don’t have any burning desire. I’d love to work with actors, but it’s a much unformed ambition really. Having graduated with a degree in English from Cambridge University, you joined the RSC for a year. Can you tell us about your time there? It was fantastic. I was so lucky. I got to be in four different productions, playing a mixture of parts. I worked in different spaces, each with a different director; I got to do a show on the RSC fringe. We had a massive amount of training on site and it was just heaven. When you are young and you’re keen and hungry to learn, it is the best start possible. I feel really fortunate that I just got to learn so much from just watching people at work like Sam West, Zoe Waites, Penny Downie, and from the characters I got to play. Having performed in several stage productions you took on the title role in a 2004 revival of Euripides’ play, ‘Iphigenia at Aulis’ at the National Theatre. Was this a defining moment in your career? From a personal point of view, it was a really defining moment. I hadn’t trained, so I didn’t have any ‘methodological’ approach to working. It was just instinct, and trying to respond to what a director was giving me. It was so extraordinary getting to work with Katie Mitchell because I love her methods of exploring different techniques and approaches. The rigor of her work was huge fun as well. I found it pretty exhilarating and a learning curve. I think it probably changed how I worked. Obviously the way you work changes but you don’t immediately see it. Katie is a remarkable human being and it is very stimulating to spend time with her. She’s incredibly, phenomenally intelligent, but is also very generous and great fun as well. I think I just really respond well to her thoroughness and uncompromising approach. I have admiration for her and I think my brain sometimes operates the same way as hers. I’m a huge fan of her work; I just find it very stimulating. As well as roles on stage your career also includes film, television and radio. What would be three of your favourites? I’d say Nora in ‘A Doll’s House’ is definitely one of them. Elinor Dashwood in Sense and Sensibility, she’s more of a character that on the surface gives very little away, but we get to see her levels of endurance which are great, and gave me things to explore. Also, I loved playing Annie in The Real Thing. She’s a character who is so different to how I am in life, so it was such a leap to try and get under her skin, and she’s still remained fundamentally enigmatic to me. There’s a huge amount to admire in her even though she doesn’t always behave so well. During your career you have been in productions with both of your parents. What is it like working alongside them? When I worked with my dad, I was very young. I was 16, and not fully formed as a person, but it was great. He’s incredibly clear. We think along similar lines. We’re both quite rational and quite straightforward in many respects, so it was a really special experience. I got to spend two months with him as we filmed in India which was a real adventure. I feel really honoured to have shared that time with him. It was totally lovely doing Family Reunion with my Mum, and we shared a dressing room. I know she’d been apprehensive that it would be difficult, as she didn’t want to encroach on my territory or for it to be awkward for me. I also didn’t want things to be awkward, but it actually felt like the most natural thing in the world to be working together – it was uncanny really, very lovely. She’s the most generous person I know. I have a lot of respect and love for her so it was a real highlight. You have appeared in the BBC comedy programme Outnumbered. Is it as much fun watching the programme as it is making it? You know, it really is. Guy and Andy, who write and direct it, and their team, create a really lovely atmosphere on set. It’s incredibly laid back, and the kids are very relaxed. It’s been a real treat that every year, I pop in and see how they’re all doing, and then it’s “you’ve grown up a bit since the last time I was here”. Claire and Hugh are great fun. The house next door acts as a Green Room and everyone hangs out in the kitchen so it does feel like a family affair, it’s incredibly lovely. In 2007 you were in the cast of the film The Golden Compass starring Nicole Kidman and Daniel Craig. Can you tell us about this? It was extraordinary actually. It was a lot of fun, I had some really lovely scenes and it was just fascinating to get a glimpse into that scale of acting in terms of the time that they give to things and the budget – I was absolutely fascinated by it! I was a very small cog in a big machine. I adored Philip Pullman’s book, it was quite a thrill to do that. It was nice to play a character who was out and out sinister and evil. In 2008 you won the Best Actress Award at the Shanghai TV Festival 2008 for your role as Elinor Dashwood in the BBC’s drama Jane Austen’s Sense and Sensibility. What was it like to be a part of this production, and getting such notable recognition by winning the award? In a way the reward was just to be in the production. It’s one of those jobs where you think “Gosh, these ones don’t come around very often”. The adaptation of the book was so beautiful and interesting, and Andrew Davies has a unique voice. I love John Alexander’s work, and it was also fabulous to be working with such a fantastic cast. It was sort of daunting, because a lot of people love the book and have very fixed opinions on how people should be portrayed, so you do feel slightly like, “okay here goes, this is what my take on it is”. It felt very natural responding to a character with such depth, and learning how she clicked. So it was a really special one, I would say. Moving forward to your current role as Nora Helmer in Ibsen’s A Doll’s House, you have been awarded Best Actress prize at the Critics’ Circle Awards in 2012 and at the Evening Standard Theatre Awards in the same year, and was nominated for an Olivier Award in 2013. What is it about the role that has brought out the best of you as an actress? That’s quite hard for me to say. I mean, I do think the whole thing with awards is interesting. It’s incredibly lovely, obviously, to be recognised. I do think the very fact that you’re playing, what I would call a ‘headline’ role, one that has become iconic because of the reputation and actions within the play, means peoples’ attentions are on it. So right from the start you are thinking, “well I’m either going to balls this up or do something that people enjoy”. So the focus is already on what your choices are going to be. It’s rewarding to know that whatever came across made an impact. I guess it’s something like a Hamlet maybe, where there is a standard by which people measure themselves and this character was that way for me. How would you describe Nora and what do you enjoy most about performing the role? She’s a very strange mixture, it’s got to be said. On the one hand, she’s very manipulative: put it this way, for a 21st Century woman, if you met her I think I’d want to slap her, because she behaves so badly. She can be two-faced, she can be over sensitive, she is a bit like a chameleon who can adapt her behaviour according to what she needs to get out of a person. If you read the clues within the text about her upbringing, you learn how her marriage functions, and you realise that she’s actually a survivor and incredibly brave. She’s dealing with a very difficult set of circumstances, having had only two years education – at the time that’s all the education women of her particular background got. So she’s incredibly intelligent, but she’s not allowed to demonstrate her talents, so she becomes wily. She’s a sort of hotchpotch and there’s a great deal of complexity to her. You get to play what’s on the surface and what’s happening underneath. So from a psychological point of view it’s really fascinating to play this role. A Doll’s House was written in 1879 by Henrik Ibsen and premiered at the Royal Theatre in Copenhagen. In 2006 the play held the distinction of being the world’s most performed play. Why do you think the play is so popular? I think the truths that it has to offer are about more than just a particular social setting in which it’s been chosen. On the one hand it’s about marriage in 1870s Norway, but it has immense truths to tell, such as, what it’s like to share your life with another human being, how to be a good person, how to be true to yourself, and what do you owe your partner? So regardless of the gender imbalance that we find in this particular marriage, actually I think it resonates with a lot of people because it’s about love and honesty. It also has a great deal to say about money and about what people can resort to when they’re desperate and have nothing. So it’s about the difference between the have, and the have-nots and the very kind of frightening line, the moral ground. How moral ground shifts when you’re desperate. So yes, the play is full of people who are on the outside of wealth and stability looking in. Have you watched any of the films of The Doll’s House? I haven’t, to be honest. When I was at school l watched the television version with Juliet Stevenson which has remained incredibly vivid in my mind and I think that was my image of Nora, which is pretty phenomenal, and she’s an extraordinary actress. When I am working on something I find it doesn’t help to look at other people’s representations. Essentially you’re dealing with a new version, and you’re dealing with new language. Speaking really objectively, first of all I think the play itself is really phenomenal and I know lots of people who have become slightly jaded with it because they did it at school and then they come and they are bowled over by how resonant and fresh it feels, and how it doesn’t feel like 130 years ago. I do think that the combination of the design by Ian MacNeil, together with Carrie Cracknell’s very taut direction, just sheds the play of any 19th Century baggage, and I just think the story-telling is so exciting. Essentially it’s a thriller, but it’s funny, and it is emotionally potent. So it offers a great deal! From talking to people, I think it makes people really think about their own lives. What else do you have planned for 2013 after A Doll’s House concludes? Well, I am currently shooting an ITV drama called The Bletchley Circle which will probably come out in the autumn. I didn’t do the first series and this is the second. A Doll’s House runs until October and then it’s an unknown for me. If you were to speak at Speakers Corner, what would you talk about? I’m like most people who work in the arts, I’m really worried about the cuts to the arts budget, most especially in the regions and I feel that somewhere along the line someone hasn’t done the maths. I just think they’re thinking very short-term and if we cut out the investment at this stage, it will have a really profound effect on communities, and on young people. The argument is about people being able to show that they make a profit. I know it has been made over and over again, but it has been shown that government subsidies do pay dividends. So I would hope to try and influence people to relook at the figures. Many thanks Hattie for a facsinating interview. Best wishes for A Doll’s House and the future!